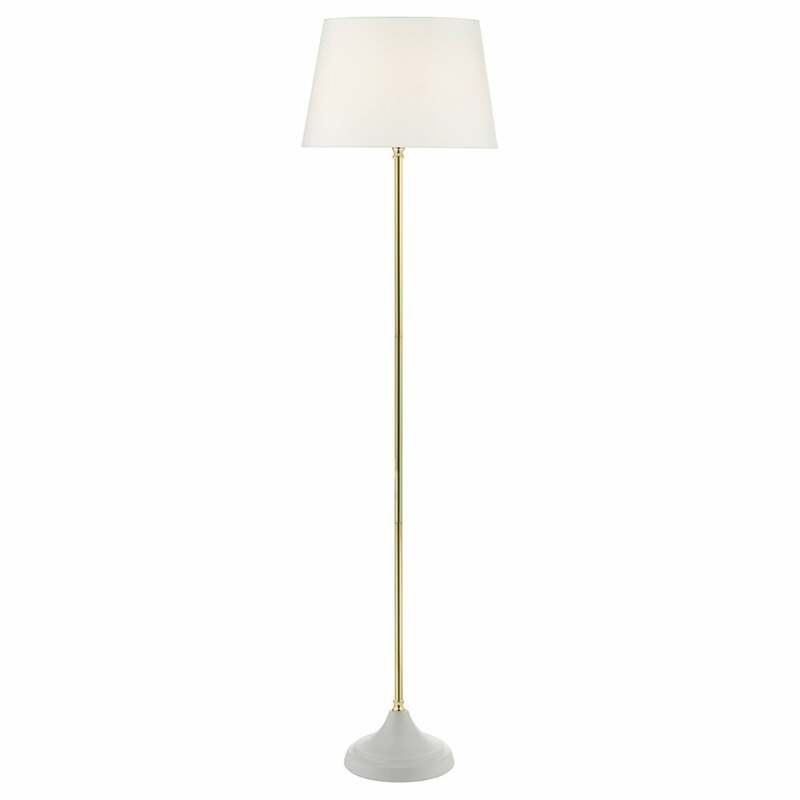 Dar Lighting Bliss single light floor lamp features a circular base in white finish with tall stem in gold finish holding a white faux silk tapered shade. Double insulated and operated by an inline rocker switch. This product code is BLI4913.